As Odisha goes to poll in April, the concerns of 95,91,000 tribals in the state will be a prominent electoral issue. The Schedule Tribes (ST) account for nearly 22 per cent of the state's population. The Mayurbhanj district records the highest density of tribal population. Out of the 21 parliamentary constituencies (PC) in the state, five — Nabarangpur, Koraput, Mayurbhanj, Keonjhar, Sundargarh — are reserved for ST candidates. Apart from the five reserved PCs, their population is also high in these districts — Deogarh (35 per cent), Gajapati (54 per cent), Jharsuguda (30 per cent), Kandhamal (53 per cent), Nuapada (33 per cent), Rayagada (56 per cent), Sambalpur (34 per cent). This means that apart from the five reserved PCs, the tribal vote will be important in Kalahandi, Kandhamal, Sambalpur and Berhampur PCs as well. According to the 2011 Census figures, the tribal population even in some non-tribal areas is as high as 42 per cent in the state. Odisha has had a history of some of the biggest tribal land-related struggles in the country. The struggles against projects proposed and operated by POSCO and Vedanta are still relevant. Under these circumstances, the question of turning traditional tribal rights over forest land into legally recognised land rights as enshrined in the Forest Rights Act, 2006 (FRA) becomes important. Mobilisation around the issue of FRA has already started in the state. “People’s manifestoes in many districts have already been sent to political parties by organisations working with the tribals. The land issue of tribals and FRA are being taken seriously by the parties, especially after the role FRA issues played during the Chhattisgarh elections,” says Giri Rao of Vasundhara, a non-profit working on FRA-related issues in Odisha. 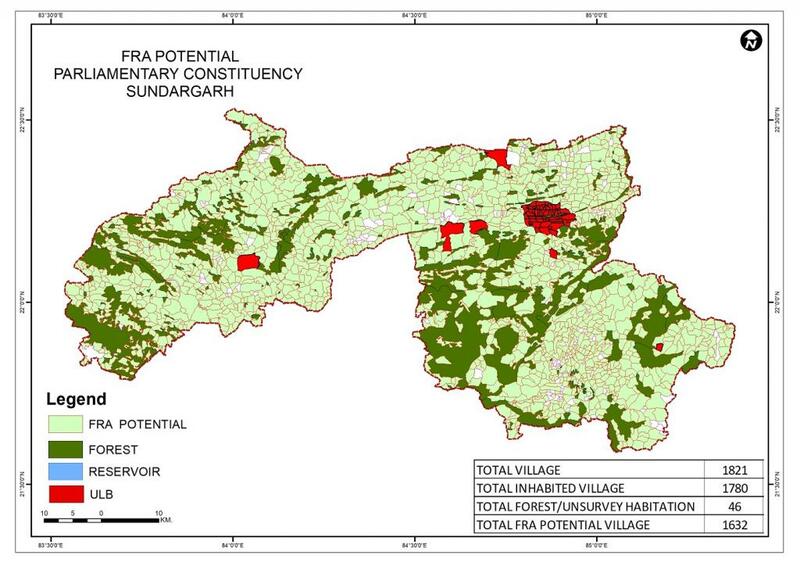 Moreover, data compiled and analysed by Community Forest Rights — Learning and Advocacy (CFR-LA), a national-level group of experts and activists working on creating awareness about FRA, has shown how the offset between performance and potential of FRA is huge. The overall performance of the state is poorer than the national average. While the national rate of approval of FRA claims is around is 81 per cent, the same for Odisha is 71 per cent. The rate of approval for Other Traditional Forest Dweller (OTFD) in Odisha (2 per cent) is also significantly lower than the national average (13 per cent). Data shows that, if implemented properly, FRA has the potential to benefit 89 per cent of the population in 88 per cent of the households of the five ST PCs. However, as opposed to this, in the five PCs, households which have benefitted from FRA range from 16 per cent in Keonjhar and 3.72 per cent in Sundargarh. Sundargarh is one of the ST-reserved PCs from where Jual Oram won to enter the corridors of power and become the current Union Tribal Minister — responsible for the implementation of FRA. Yet, it has the worst performance record in the state when it comes to the implementation of FRA. Among the five ST PCs, Sundergarh has the highest rate of rejection of claims under FRA, while not a single claim of the non-ST forest dweller (called OTFD under FRA) has been approved. It is the second-largest district of Odisha after Mayurbhanj. With a geographical area of 9,712 square kilometres — 6.23 per cent of the state — the district is also the second largest in terms of forest cover. It has 4,232.57 sq km or 8.53 per cent of total forest area of the state. The district is also a declared Fifth Schedule Area with over 50 per cent of its population comprising various tribal communities. But despite this, the district has performed abysmally in granting individual forest right titles under the FRA. With less than 4 per cent households being given land titles, it has the lowest implementation of FRA in Odisha. 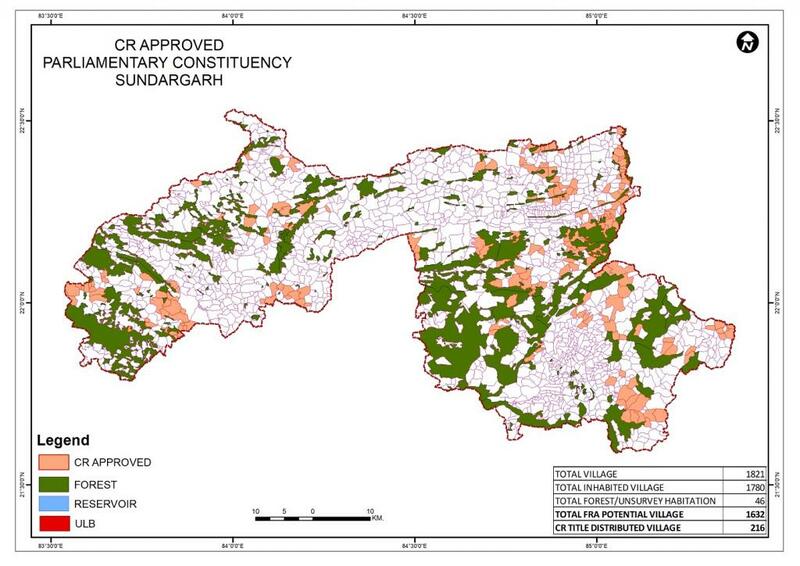 And the rejection rate in Sundargarh is also the highest in Odisha followed by Gajapati and Keonjhar districts. According to official figures till December 2018, out of the total 40,756 claims for individual forest rights, including 39,756 from ST forest dwellers, a total of 17,385, including 16,864 of ST forest dwellers, have been rejected. The rights of other traditional forest dwellers have also been ignored. Out of the total 555 claims from them, 521 have been rejected. 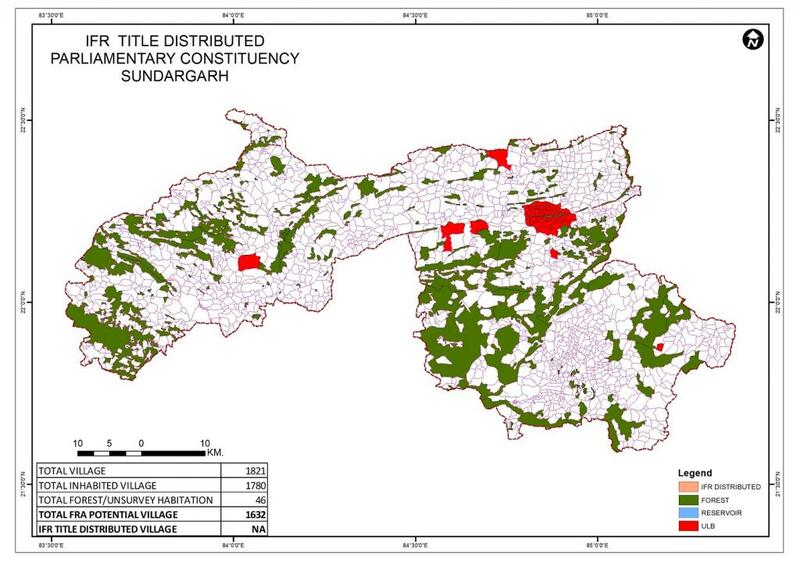 Even the five assembly constituencies of the district — Bonai, Talsara, Sundargarh, Biramitrapur and Rajgangpur — are among the lowest performers in terms of granting titles to tribals. 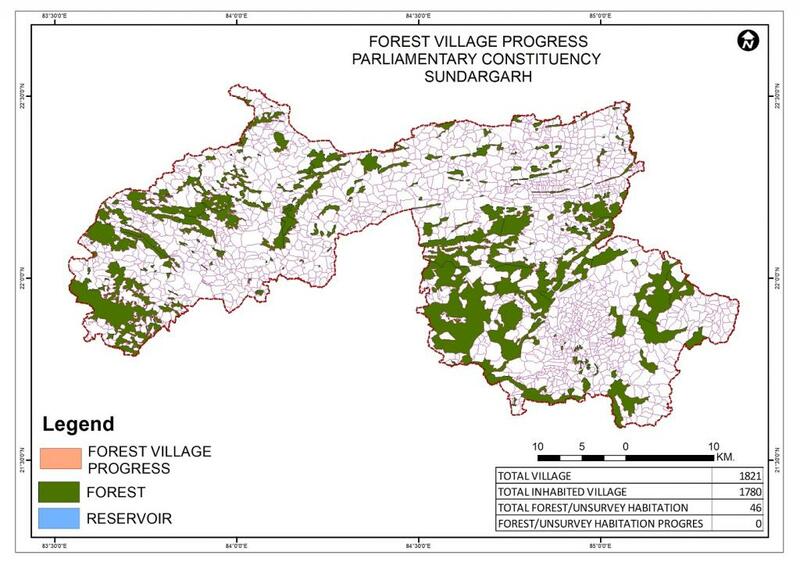 In Rajgangpur, represented by veteran Biju Janata Dal (BJD) leader and former minister Mangala Kisan, just 818 forest dwelling families, or 1.88 per cent, have received titles under the FRA, which is the lowest in the state. Now, as the political parties begin to woo their voters, they will have to answer the questions of the 22 per cent tribal communities about what happened to their rights.